What Does God Think About Fun? 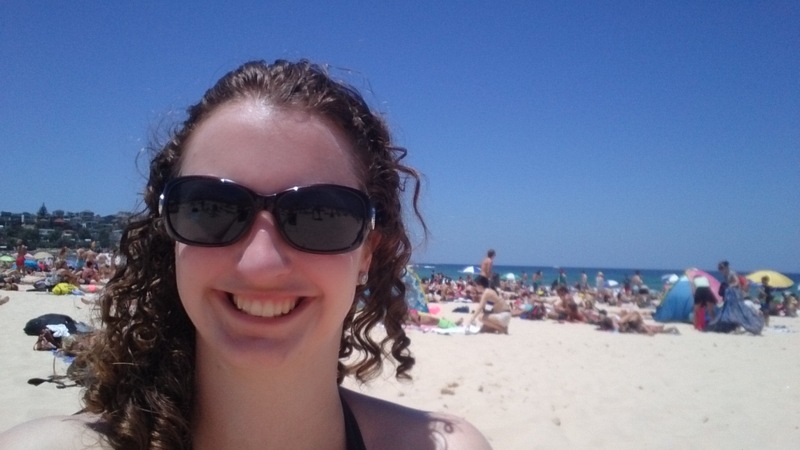 Catching some rays at Bondi. Did you know that enjoying life can be part of being a good witness for God? I sure didn’t. If anything, I thought the opposite; that enjoying yourself too much meant you weren’t spending your time and money on more worthy causes. Boy, I sound like a bundle of laughs, don’t I? But I had a lightbulb moment in December as I sat with a friend, discussing whether I should go on a overseas holiday or not. I expressed a concern that it was a lot of money just to spend on fun. He (a non-Christian) went on to tell me about a family member of his; a religious and very-obligation-driven person. He said he watched the way his family member lived and believed that her ‘religion’ sucked all the joy from her life. I don’t want to be like that. That is not a good witness. Joyfully embracing God’s gifts on earth brings him glory. Having fun can be part of being a good example of a God-follower. And being a grinch glorifies no-one. So my one and only New Year’s Resolution for 2015 is to live a more joyful life. I got off to a good start, enjoying a family Christmas at the beach before I travelled to Sydney to spend New Year’s with one of my brothers and some friends. We watched the famous fireworks at Sydney Harbour, tanned on Bondi Beach and ate at Darling Harbour’s Hard Rock Cafe. Now I’m back at work, enjoying getting back into routine. However, my new routine is going to include a lot less pressure on myself and a little more downtime. As part of that, I have decided to blog once a fortnight instead of every week. I will still post at the regular time, but it will be every second week starting from today. I look forward to another year full of growth as we continue our journeys with God. What about you? What did you learn over the holiday period? Share below! A book that you might find a good read is Just Walk across the room. Thanks Helen! I’ll have to check it out. You sound a lot like me in this article, lol. I was always so hesitant, almost scared to enjoy life because I thought it was sort of a sin. This year also, I decided to live life to the glory of God. Today, I went tree climbing and felt really good afterwards. So, my answer to your above question is simple: God thinks we should have fun; as long as it is in accordance with His will. Thanks for this post, I’m blessed. Thanks for sharing! Good luck with your ‘extra fun ‘. It sounds weird to think it can be hard to have more fun, but i think any attitude change is a challenge.